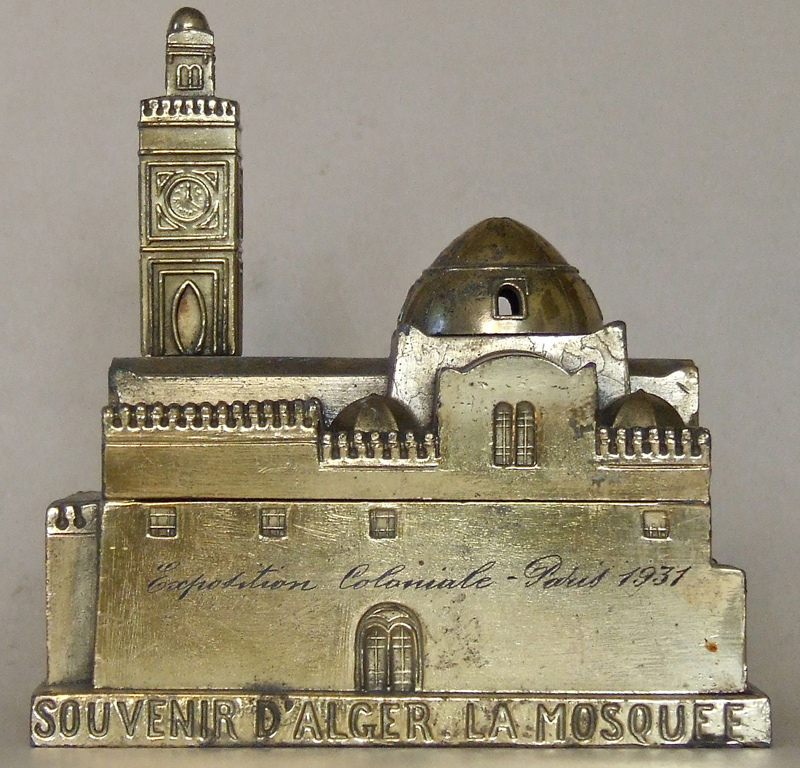 Reader of this blog, Donna S., sent me photos and information about a souvenir building similar to one that appears in the book, Monumental Miniature, where it is described as a Polish Synagogue (Fig. 479). 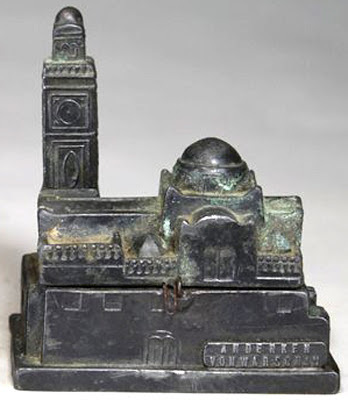 This one has a small plaque, written in German, the translation means, “Souvenir of Warsaw” and stands 3 ¾ inches tall. 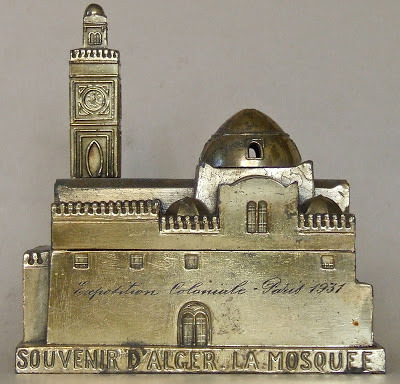 However, Donna’s replica has the words, "SOUVENIR D'ALGER LA MOSQUEE" on the base and the words, "Exposition Coloniale - Paris 1931" printed above that. This one measures about 4 1/2 inches by 2 3/4 inches and stand 4 3/4 inches high. 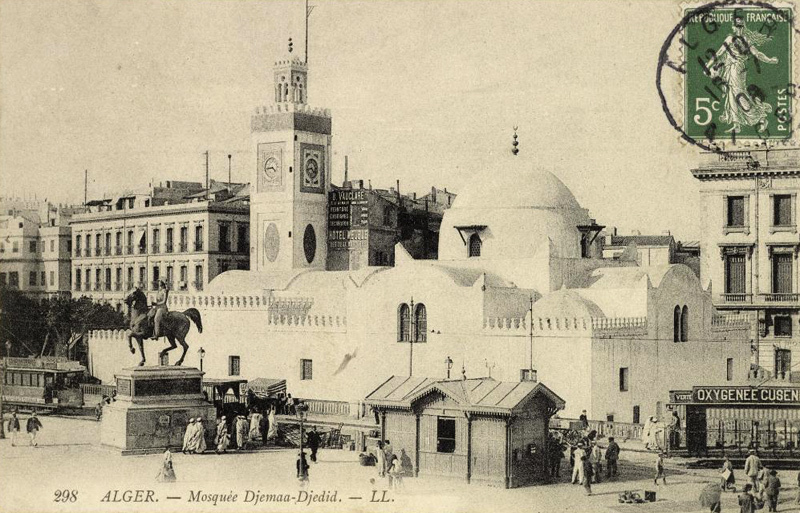 The real Djemaa el-Djedid in Algiers is near the waterfront and on the Place des Martyrs. It is said to date from 1660. Descriptions of this mosque refer to it as an Ottoman mosque that incorporates Turkish, Andalusian and Christian architectural details. It is designed in the shape of a cross, has an Andalusian minaret and vaults and domes in the Turkish style. See the post card pictured below. So, it is likely that there was a real mosque that looked like these replicas in three places: One is the Djemaa el-Djedid (New Mosque) in Algiers, another built for the 1931 Colonial Exposition in Paris, and yet another somewhere in Warsaw, Poland. I have not been able to locate the building in Poland and it may have first been built as a mosque and later became a synagogue. 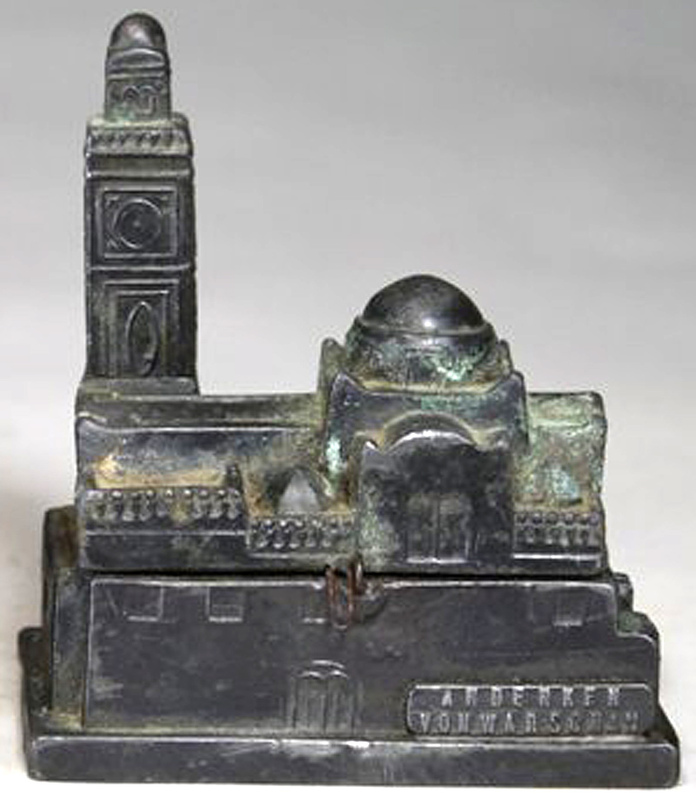 There are also three types of these replicas – an inkwell, a coin bank and a box version and two size of each. All versions have a hinge which opens the reveal either he stored coins or inkwell inserts.